Yes, there is such a thing as Good Screen time. As adults, managing screen time for our children is one of the most challenging issues that we can face. Too much screen time can create issues both, psychologically and socially for children. However, with the influx of various programs and the changes in curriculum for school aged children, it is an inevitable aspect of learning. According to the senior editor of Harvard Health Nancy Ferrari, the keys to beneficial screen time, she explains, are interactivity and adult participation, whether the child is playing a computer game, using an iPad app, or watching TV. Another healthy aspect of interaction with technology involves interactivity and adult modeling which helps children to learn a task better than passive viewing of the same material. “In my opinion, the goal of a child’s interaction with screen-based games should be to help him or her learn a concept, to formulate and organize ideas, to help with communication, or to develop basic preschool skills,” says Ann Densmore, Ed.D., an expert in speech and language development and co-author of Your Successful Preschooler. Managing the role of supervisor over your kids screen time can be exhaustive when the details are goals are not set in place. 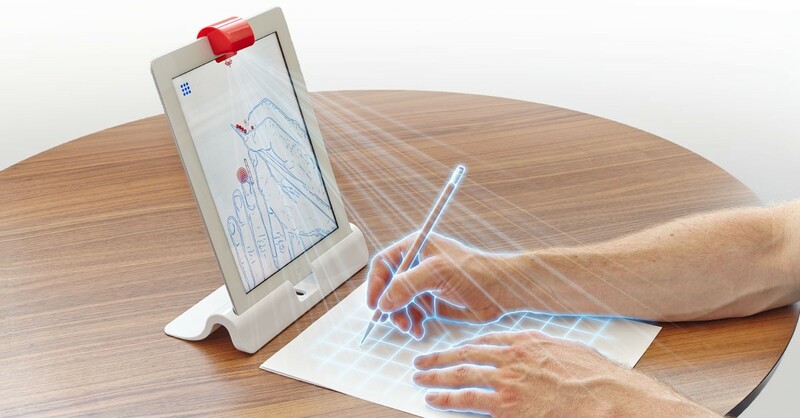 Osmo Coding is the first iPad game that teaches kids to code in the most intuitive way possible: with their hands. Osmo Coding relies on beautifully crafted blocks that kids snap together like LEGOs in front of an iPad, which form digital instructions that guide the character Awbie™ on a journey through a digital forest to finding yummy strawberries in her magical world. Designed to teach coding to kids aged 5–12, Osmo Coding pairs Awbie™ with the company’s Reflective AI technology which allows an iPad to “see” objects in front of it, so kids can play in the real world while still benefiting from the power of technology.